ALSO I will have the cover for my book REALLY soon! I love it beaucoup and I hope you guys do too. 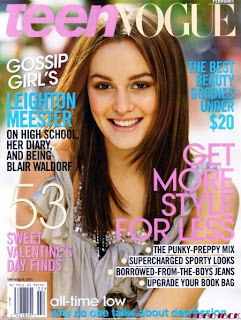 ** Nikki sent me this link to a story about the Gossip Girl spinoff — rumor is that it’ll be about Lily in the ’80s. ZOMG, potentially awesome and potentially hilarious.